The term hip dysplasia means abnormal development of the hip joint. Dogs are born with normal hip joints but during puppyhood affected dogs develop a laxity in their hip joints. 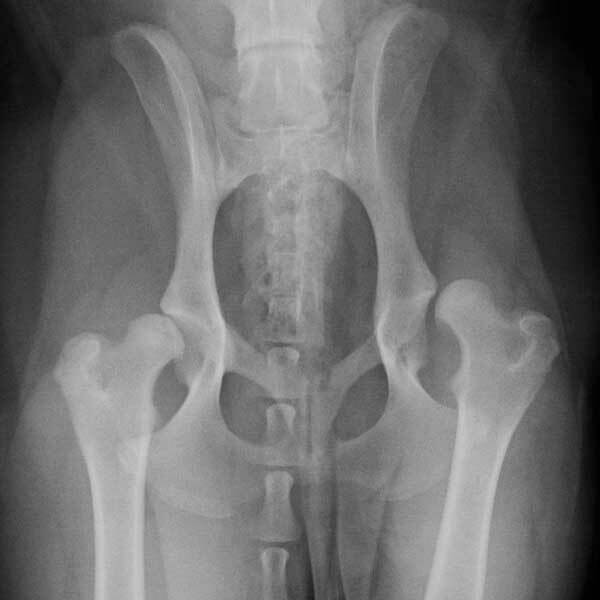 There are thought to be a number of reasons for this but genetics is important and dogs bred from parents with hip dysplasia are more likely to develop this problem. 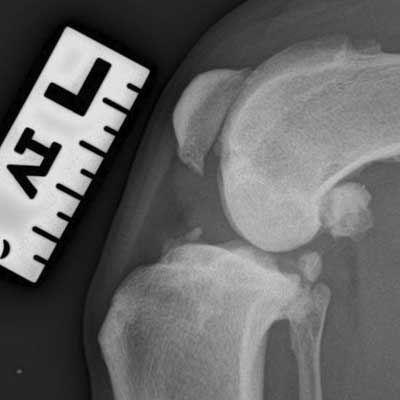 The problem with excessive hip laxity is that it will result in osteoarthritis developing over time. This will generally worsen as a dog gets older and although many dogs with mild osteoarthritis may appear to have no or few problems, their problems will generally become more obvious as the severity of the osteoarthritis increases. Dogs with hip dysplasia typically develop clinical signs when they are 5-10 months of age although some dogs may appear to be normal when puppies and start to show signs later in life. 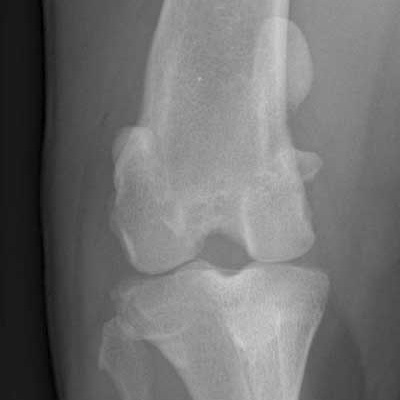 The typical clinical signs are lameness on one or both hindlimbs, struggling to rise from lying, having problems with stairs and jumping and bunny-hopping on their hindlimbs. 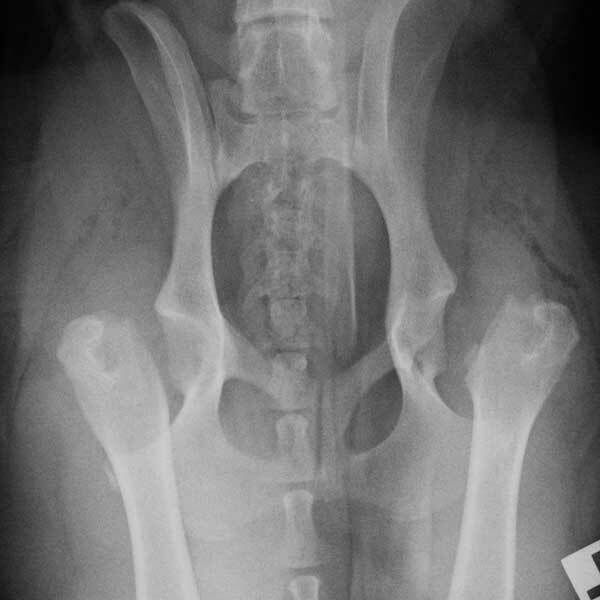 If your vet is suspicious that this problem may be present he will normally recommend that Xrays are obtained of the pelvis. Young dogs with mild clinical signs are often treated conservatively with pain relief, some exercise modification and hydrotherapy can be valuable. 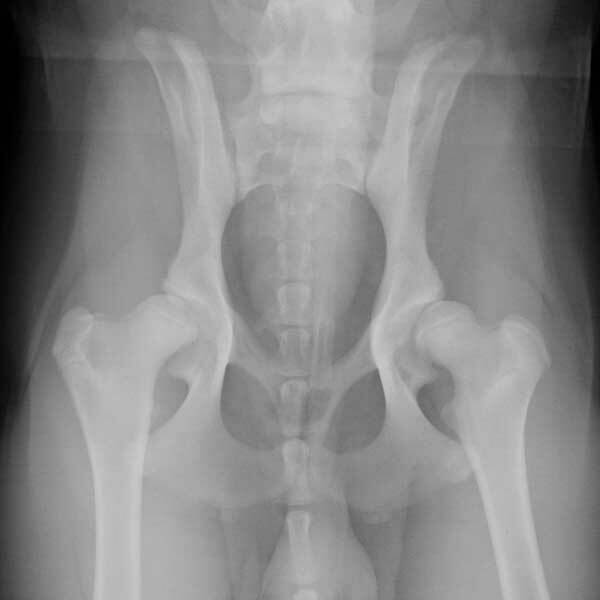 Many young dogs with mild clinical and radiographic signs of hip dysplasia will improve as they get older and may appear to be normal when they are 12-15 months of age. Surgery can be performed on young dogs and can involve pelvic osteotomy (cutting and repositioning the bones in the pelvis) to reduce hip instability or removing the femoral head (excision arthroplasty). 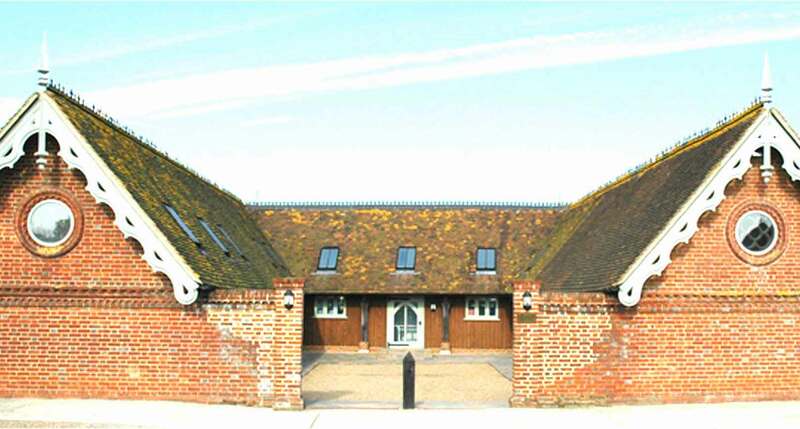 There are a number of factors that determine whether these surgeries are indicated and these will be discussed at the time of consultation. 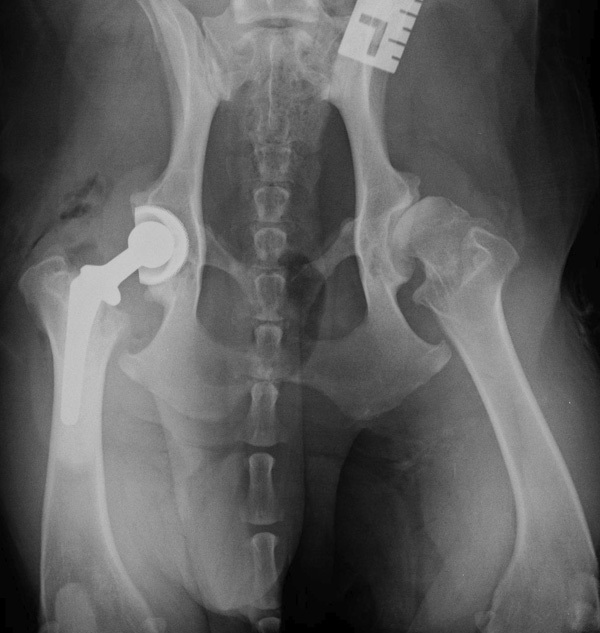 Hip replacement can be performed on young dogs but is not normally undertaken until they are about 10 months old. Some dogs do not show any obvious signs of hip pain until they are adults. Many of these dogs will respond well to conventional painkillers with some exercise modification and physical therapies such as hydrotherapy. If the response to this approach is not good or if a dog is intolerant to painkillers hip replacement may be recommended. 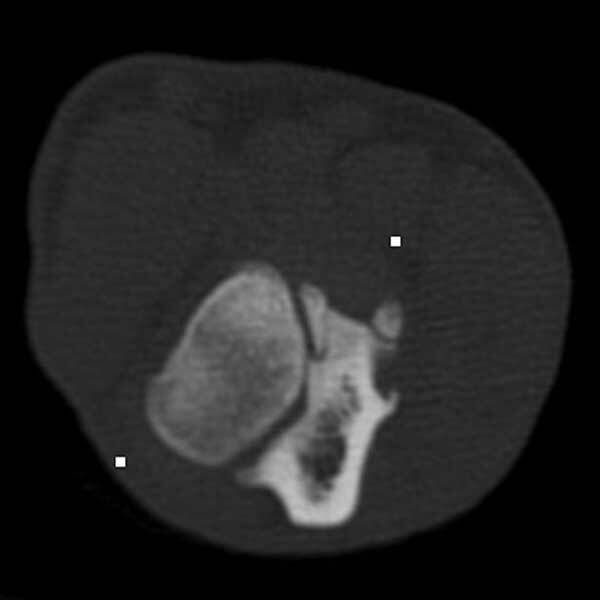 The gold standard for treating hip osteoarthritis is hip replacement but some smaller dogs can do very well with alternative surgeries such as excision arthroplasty. The range of hip replacement implants that is now available is extensive and almost any size of dog (or cat) can have their hip replaced. Hip replacement is not without risk (infection, dislocation and implant loosening) and is an expensive procedure but the results are generally very good.